51 foot Luxury Yacht with three staterooms, 2 bathrooms, upper and lower helms, flybridge with BBQ grill and refrigerator as well as sink. Yacht has satellite TV, state-of-the-art GPS and radar as well as XM Weather. Washer/Dryer, icemaker, three refrigerators, microwave/convection oven, central vacuum plus davit/gangplank for ease of embarkation. Vessel comes equipped with snorkeling gear and is USCG offshore safety equipped including GPS tracking and Epirb. Bow and flybridge sunpads for tanning or just relaxing. 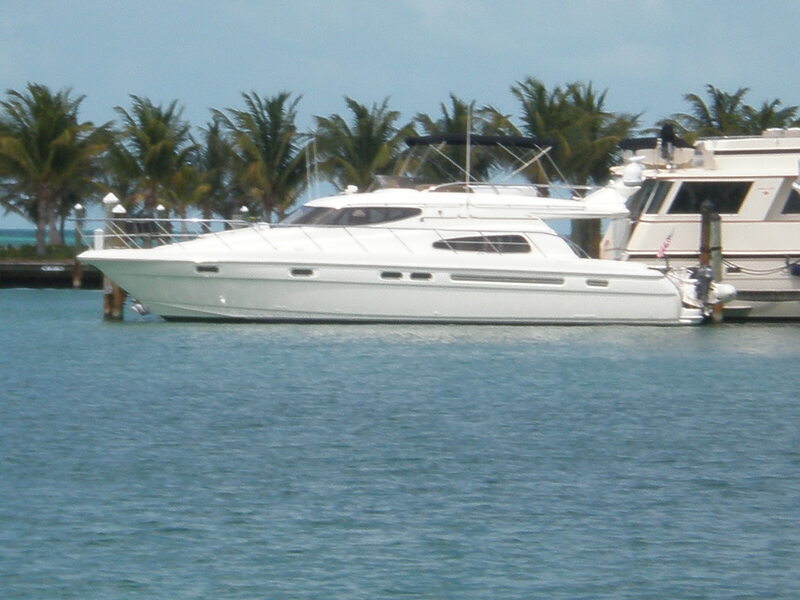 Enjoy the Miami/Fort Lauderdale tropical waters aboard our Princess Yacht for a very affordable price. Welcome Aboard - Join us for an adventure on the blue waters as we explore the secluded tropical islands! Be on the lookout for Pirate Ships, dolphins and manatee - they're here! Or, just enjoy a day cruising along the calm waters of the bay and catching some of that Florida sun! We can stop for a shallow swim and/or snorkel on one of the many sandbars. Perhaps a sunset cruise for a romantic evening getaway! Let us know what you'd like, and we will make it happen! Ask about our catering packages.